There’s a slew of different dealerships that carry used cars in the Long Beach, Cerritos, and Newport Beach areas. However, few have quite as respectable a reputation as Norm Reeves Honda Huntington Beach. Interested in learning more about our used car inventory, and everything else we have to offer? Then you’ll want to check out the articles on this page. Here in Southern California, you’ll find a wide range of terrain. There are sandy beaches, well-paved city streets, and a host of mountain paths. To navigate them all, only the most reliable used car will do. Our Honda dealership carries a wide variety of used cars and we are more than happy to help drivers like you get behind the wheel of them. You will see how by reading through any of the articles listed on this page. After you’re done reading, you might want to head over to our inventory page. Here you can browse our entire selection of used cars, which includes sedans, SUVs, minivans, and much more. We also carry a selection of certified pre-owned cars, if you’re interested in a purchase with a little extra peace of mind. See, these cars come with a new limited factory warranty, which means extra security out on the road. If you want to keep your used car in great shape for many years to come, then you’ll have to stay up to date on the routine maintenance and repairs. This is easy to do with the help of our skilled service technicians. When your car needs work, just contact us online or over the phone. Well, take care of things as soon as possible. Are You Ready for Your Next Used Car? 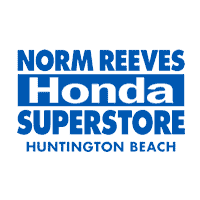 If you’re looking for some of the best-used cars in the Long Beach, Cerritos, and Newport Beach areas, then you need to look no further than Norm Reeves Honda Huntington Beach. Read any of the articles listed on this page to learn more!